The family-owned fresh convenience market chain based in Whitehouse Station, NJ has been named to the list compiled by the NJBIZ weekly business journal nine times in the past 10 years. QuickChek was also recently selected as one of the “Best Companies to Work for” in New York State for the seventh year in a row by the New York State Society for Human Resources Management, earning the rare distinction of being named one of the best employers in both New Jersey and New York. QuickChek was also named one of the America’s Best Employers in 2018 by Forbes. The “Best Places to Work” and “Best Companies to Work For” lists recognize each state’s top employers who show a dedication to their employees’ growth and quality of life. Employees are surveyed to identify, recognize and honor the best places of employment whose practices benefit each state’s businesses, economy, and workforce. The best practice qualifications include impartial surveys gauging employee satisfaction and engagement. “As our team members have input into these selections, their continued recognition confirms we remain on the right track,” said Durling. QuickChek invests in its team members. The company’s starting pay has been above the New York and New Jersey state minimums for the past 11 years. Career opportunities abound: all of the company’s district leaders and most of its vice presidents began their careers working in a local store. Full-time employees are offered a wide variety of affordable health and well care benefits including medical, dental and vision, to life insurance, a 401(k) savings plan, fitness center reimbursement, and even pet insurance. QuickChek continues to defy the retail landscape, opening 28 new stores and hiring an additional 1,300 people since 2015. Each new store creates between 40-50 new local jobs including eight management positions and generates approximately $1 million in tax revenue. Recent openings include Robbinsville and Manalapan, bringing the privately-held company’s store count to 158 locations, including 78 stores with fuel, throughout New Jersey, New York’s Hudson Valley and Long Island. 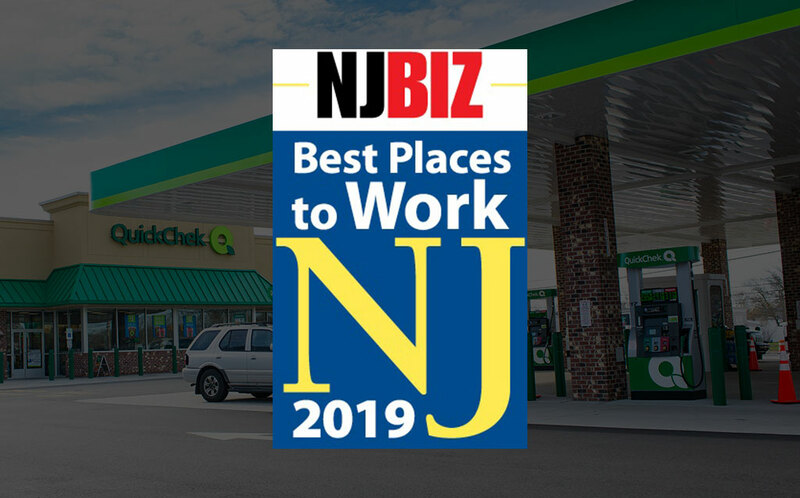 QuickChek will receive its “Best Company to Work for” in New York award on April 24 at the Albany Marriott and its “Best Places to Work in New Jersey” award on May 1 at a ceremony at the iPlay America’s Event Center in Freehold. For additional information please visit www.quickchek.com.